First, there was the lightbulb. Then came the compact fluorescent. Now, the latest improvement in energy-efficient lighting has arrived: "bulbs" built around light-emitting diodes -- LEDs. Anyone who lived through the introduction, consumer acceptance, and eventual widespread deployment of CFLs can predict what will happen next with LEDs. First, a small percentage of the market will adopt them, then production will ramp up, prices will drop, and more people will buy LEDs as they get cheaper. Ultimately, ultra-energy-efficient LEDs take over the lighting market, and anyone who figures out today how to invest in this trend will make a bundle of money when that happens. But that's just the question: How should we invest in this trend? Many companies play parts in the LED saga, after all. Rubicon Technology (RBCN) sells monocrystalline sapphires for use in making LEDs. Germany's Aixtron (AIXG) and Plainview, N.Y.-based Veeco Instruments (VECO) manufacture industrial-scale equipment for LED manufacture. Over the long term, General Electric (GE) predicts that LEDs will eventually make up 75% of its lighting business. Meanwhile, LEDs Magazine calls Cree (CREE) "one of the premier LED chip suppliers," and among alternative energy investors, this LED specialist has always been a favorite. The problem with Cree, however, is that because it's so popular, its stock has always looked expensive -- about $3.7 billion in market cap today, on $1 billion in annual revenues. 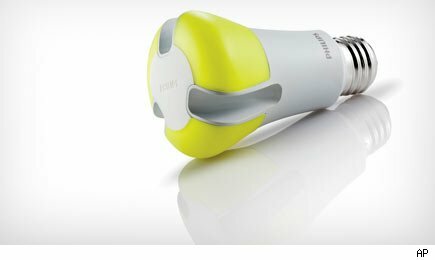 Isn't there a cheaper way to invest directly in the popularity of LED lighting? Not yet, perhaps, but there soon may be. Last week, Siemens lighting subsidiary Osram, another big player in the LED market, announced it's planning to IPO later this year. Osram's been contemplating this for some months, but it's finally getting serious, and targeting an autumn IPO. Can Crystal LED Be A Game-Changer For Sony? Analysts suggest many potential valuations for Osram -- from as high as $11.4 billion when the IPO market is hot to as low as $5.6 billion when the market is not. But here's the thing: Even at its most expensive, Osram looks much cheaper than Cree. Based on the $6.5 billion in revenues it collected last year, an $11.4 billion market cap would only price Osram at about 1.75 times annual sales. Cree, in contrast, costs nearly twice that today -- 3.4 times sales. Foreign IPOs don't get a lot of press in the U.S. But with stronger sales, and similar profit margins (5% to 6%) to those Cree makes, Osram is one IPO you should pay close attention to. Motley Fool contributor Rich Smith holds no position in any company mentioned.